With the holidays approaching, there is a lot going on. The last thing you’re thinking about is getting rid of that old sofa down in the basement. 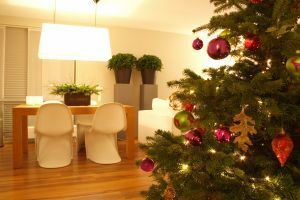 However, that is exactly the kind of thing you should take care of so that your holidays are less clutter. Thankfully, there is a professional junk hauling company standing by that can make that sofa disappear in the blink of an eye. It’s kind of like Santa magic! That company would be Junk King Palm Beach. Not only can they get rid of your old sofa but they can also do amazing things with decluttering the rest of your home. That would certainly make the holidays a lot brighter! The biggest thing that has kept you from getting rid of something like old furniture or appliances has probably been the lack of a truck. You certainly can’t throw a recliner in the backseat of your SUV. The Junk King Palm Beach on the job you’ll be able to load up all kinds of things the back of their truck. Actually, you will be doing any of the loading. That is what two-man crew assigned to your task will be handling. It doesn’t matter to them is something is really heavy or bulky if you want gone, then it’s can be gone! This is the same crew you can call on to do some terrific yard cleanup. They may not mow the grass or rake the leaves but they can certainly pick up anything that has piled up out there. That includes anything dumped in the last storm or has been rotting away in the rain. Everything gets loaded onto the same truck. Cost is always a factor when you’re hiring a company to do work around the house. The cost for Junk King Palm Beach is service is based strictly on volume. It all comes down to how tightly the crew can pack up all your stuff onto the back of the truck. The less space your junk feels the less you be paying. You’ll know what this estimate will be ball for the work begins so that there won’t be any surprises at the end of the job. Call Junk King Palm Beach today to fire up your holiday decluttering. This entry was posted in junk removal and tagged clutter, holidays, Junk King, junk removal on November 30, 2016 by Dave Archer. Last updated August 11, 2017 . When Palm Beachers need their “junk” hauled away, many call Dave Archer. Archer, and his wife, Toni, take just about everything, from furniture and appliances to trash and construction material. The Wellington couple recently came out of retirement to start Junk King Palm Beach, a franchisee of the company that bills itself as American’s greenest junk-removal service. This entry was posted in News on November 2, 2016 by Dave Archer. Last updated August 11, 2017 .